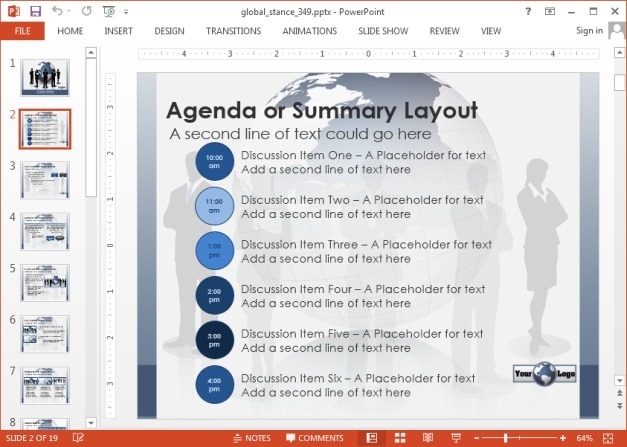 Global Stance is a standard business PowerPoint template with layouts that provide editable charts, diagrams, bulleted lists, etc. 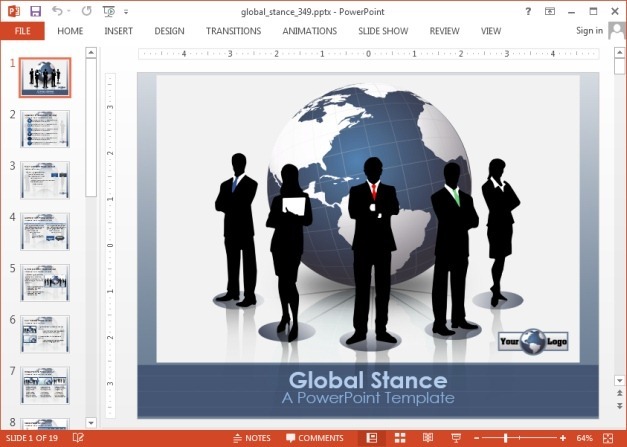 The title slide of the template depicts silhouettes dressed in formal dressing standing in the backdrop of a globe. 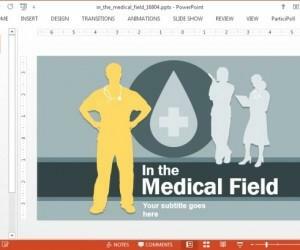 All samples in this animated PowerPoint template provide a formal, standard layout which can be customized according to need. The colors in this template are usually light, with black text which stands out on a background which makes good use of white space. 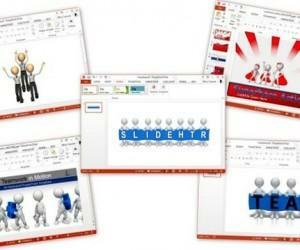 The template is editable enough to add or remove even basic objects within slides. You can also change the color of slide objects and add your own effects. It is worth mentioning here that the template itself is animated. 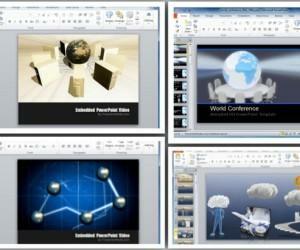 There is also scope for making more picture oriented slides using the picture slide layouts in this template. You can also add descriptions alongside these pictures to elaborate upon the image and to create comparisons with images. 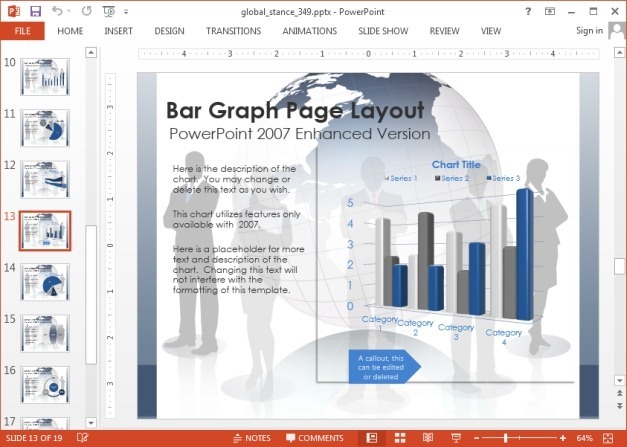 The chart layouts offer editable charts which you can edit to add your own data. These layouts depict the same blue, gray, white and black color tones that are consistent throughout the template. 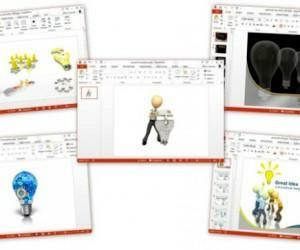 You can also make good use of the neatly crafted SmartArt diagram layouts for presenting your ideas. 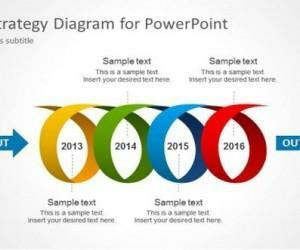 These are generic diagrams that can be easily edited to add text and a description alongside the diagram. You can also add images along the placeholders on the side of each diagram, as the sample diagrams are surprisingly clear despite being small, with ample space to add your own content like a description and images. 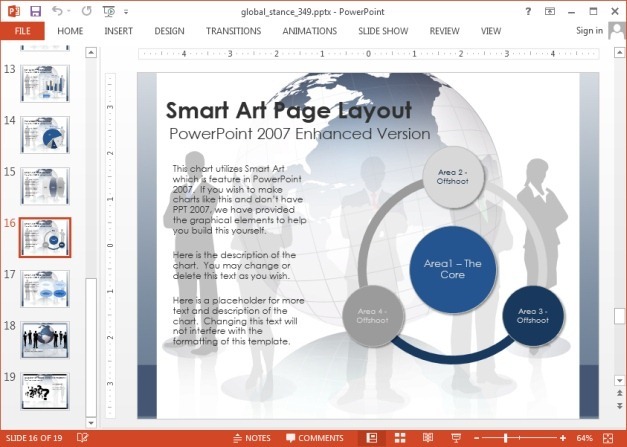 This business presentation template is available for PowerPoint and Keynote apps. 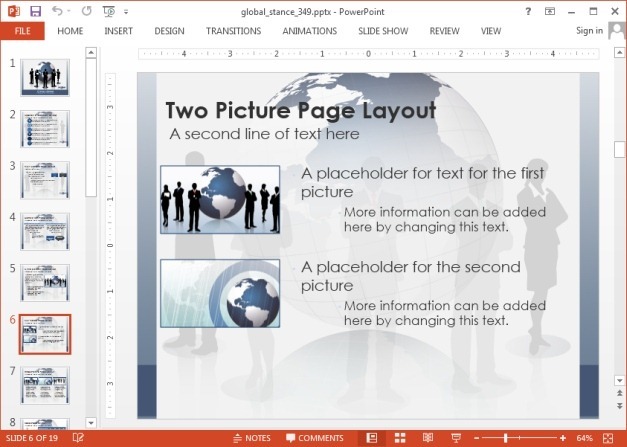 The PowerPoint version works with Windows and Mac. 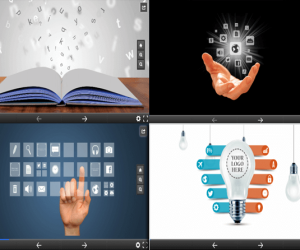 There is also a Keynote version that can be used with both Mac and iPad apps of Keynote.